i have a wobbly tooth and i can’t wait for it to come out. today i lost my tooth in the castle. the fairy will still come and i wil get money. i liked the rooms because they looked very good. i liked the soldiers because we stood necs to them . i liked the solders because i like the fuffy hat. the soldiers where very still and i liked there fuzzy hats. On Sunday we gathered in St Mary’s Church Berkley for the monthly Family Service. This one was special though because the children and staff of Berkley School took part in the service. The church was almost full and there was a lovely atmosphere. Our theme was ‘Friendship’ and we had lovely painting by the Rabbits, wonderful prayers written and spoken by the Squirrels and an item called ‘Recipe of a good friend’ by the Badgers. Huge thankyous to everybody who took part in the service and for getting up so early on a Sunday morning. We are all looking forward to the next one! Berkley School was buzzing with excitement on Friday morning. We set off at 8.a.m. 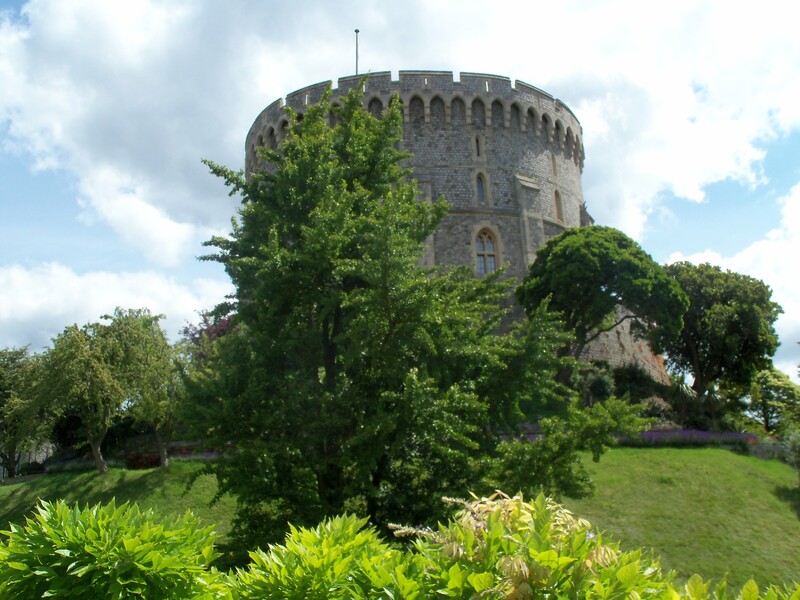 bound for Windsor Castle . 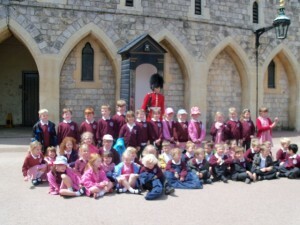 This was one of our ‘WOW’ days linked to our creative curriculum topic on Castles. We were lucky, the roads were clear and the weather was fine. We arrived at the castle, were welcomed and taken to our base and then our adventure really began!! We all had to go through security which was a bit like being in an airport. 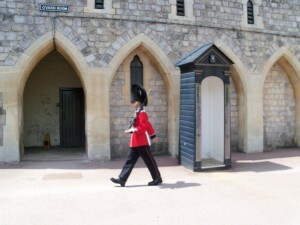 Then we saw the Changing of the Guard, we did a treasure hunt in St George’s Chapel and saw the tombs of Henry VIII, Jane Seymour, George VI and the Queen Mother as well as many more of our Kings and Queens. We walked around the State Apartments and saw fantastic weapons and armour. We had a talk led by Lesley who was really impressed by the knowledge of all the children. We saw real murder holes and crenulations. We saw arrow loops and the motte and keep at the centre of the two baileys. Last of all we had an art workshop. It was a wonderful , exhilarating and tiring day. As we left we craned our necks to see if the Union Flag was being replaced by the Royal Standard…. and we think it was……if so the Queen had arrived just as we were leaving! Badgers class have been studying ‘Life Stories’ in RE. We have found out about a range of people who put their faith at the centre of their lives. We have learnt about David the Shepherd Boy, Grace Darling, St Francis of Assisi and Guru Nanak. Today our Rector Andrew Chalkley came in to talk to us about his role. The children asked him some tricky and thought provoking questions – for example ‘If something bad or sad happens do you get cross with God?’ and ‘Have you ever had a vision?’. Next we will be finding out about St Aldhelm, Bishop Ken and a local man – Maurice Eyres who served St Mary’s Berkley for most of his life. I like school trips because they are fun. I liked going to Bristol zoo. I like maths because i love numbers. I love all maths. i love how we plant lots of vegetables to be healthy it is really fun because we dont do it often and i really like the field. On Thursday afternoon the three classes came together to share performances of the poems they had been learning. Rabbits and Squirrels both shared poems about Dragons and they did really brilliantly with lots of super actions. Badgers had spent time on dragon poems the previous week so instead they had worked on a ‘cheeky’ performance which was all about animals’ bottoms!!! Parents were also invited and additionally two Literacy Consultants, who were visiting the school, enjoyed the performances. This week we are sharing the legend of King Arthur. We used a powerpoint presentation of the story and I modelled the retelling of the legend in my own words. 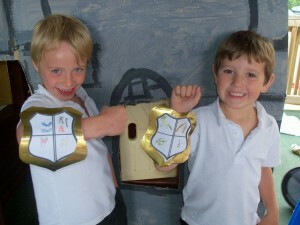 Then the children worked in groups of four, taking the roles of Arthur, King Uther, Sir Kay and Merlin. I had given them questions to consider in character and then we used the ‘hotseating’ technique to draw out their ideas. This involved some of the children sitting on the ‘throne’ and responding to the questions that had been given to their character. They had some really great answers and were unfazed when I attempted to explore deeper by asking additional questions. You could have heard a pin drop in the classroom as everyone listened to the child in the hotseat. It was smashing. Following that they are now retelling the legend from the point of view of their specific character! I am looking forward to reading the results. This term our creative curricular topic is ‘ Castles’. It has caused a great deal of excitement. We love our ‘WOW’ days. When the children came back after the Easter holidays they found that the outside classroom had been turned into a castle complete with a working drawbridge and a throne!! The children are having a brilliant time playing in and around this castle at break and lunchtimes. It was a lot of hours in the making but was worth every second to see the children having such a good time. Our second ‘WOW’ day is next week and we are all getting very excited. On Friday we will be travelling to Windsor Castle to spend the day and we are all looking forward to it. I expect lots of photos and blogs from the children [ and staff] will follow! Finally we will be having a ‘Medieval Banquet’ on the school field. We have invited a Falconer, an Archer and a man who will be bringing medieval armour to show the children. Food will be in keeping with the day and I, for one, can hardly wait!!! I like litearcy because we get to do writing it makes me excited. I like foot ball club because you learn new skills evry time. i like golden time because you get to play and you get play with your show and tell things that you have brought to school. Extended writing is lots of fun. doing your best is normally a hard challenge but its fun creative work. i like science because it is fun and we planted some flowers. Badgers’ Class has been having such a lot of fun making films during the last year. We ran an Animation Club after school led by Julia Roberts. Mrs Hirons, Mr Hunt [ our Bath Spa Teacher] and I supported too. We had been studying a topic called ‘Flight and Space’ so in literacy we shared the story of ‘Icarus and Daedalus’. So we made an animated film all about the legend. We had a brilliant time and learnt so many new skills – the adults too! Some children also wrote their own background music to add to the film. As part of the Frome Community Learning Partnership Year 4 planned and filmed an information film called ‘ How to look after your teeth’ which hopefully will soon appear on the website. Several children and I attended the ‘Oscars’ award ceremony at the Merlin Theatre and we were delighted to win an Oscar for ‘Best original concept’ and a special award for the ‘Icarus and Daedalus’ film. Look out for the films and also for photos of the award winners!!! 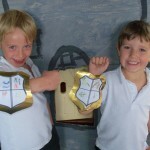 today i made a shield with our own coat of arms on it with Ben.